Rating agencies Icra and Crisil have divergent takes on India Inc's credit quality during the first half of fiscal year 2018/19. While Crisil feels corporate credit quality remained resilient in H1FY19, Icra's rating actions point to an increase in downward pressure on investment-grade entities during the same period. Crisil's credit ratio (or number of upgrades to downgrades) stood at 1.68 times in H1FY19 as compared to 1.88 times and 1.45 times in the first and second halves of fiscal 2018, respectively. There were 685 upgrades to 408 downgrades in the first half of fiscal 2019. "For the first time in five years, the credit ratio of investment-linked sectors, at 2.15 times, is higher than the overall credit ratio," pointed out Somasekhar Vemuri, Senior Director, Crisil Ratings. Meanwhile, Icra says the rating drift of investment grade entities turned negative in H1FY19 for the first time since FY2014, while there was a sharp jump in the downgrade rate of investment grade entities. Rating Drift is measured as the average upgraded notches per rated entity, minus the average downgraded notches per rated entity. Downgrade rate is measured as the number of entities downgraded to the number of entities whose ratings were outstanding at the beginning of the measurement period. "The rating drift of investment grade entities deteriorated to -5.1 per cent (annualised) in H1 FY19 (3.2 per cent in FY2018) against the past five-year average of 4.3 per cent. Also, the downgrade rate of investment grade entities rose to 8.3 per cent (annualised) in H1FY19 (7.1 per cent in FY2018), a five-year high," says Icra in a report released on October 1. There was also a sharp increase in the total volume of debt upgraded. Jitin Makkar, head (credit policy), Icra, said, "Icra upgraded total debt of Rs 3.3 trillion in H1FY19, significantly higher than the total debt of Rs 1.8 trillion upgraded in the full year FY18. This was driven primarily by the improvement in credit quality of a select few entities - 5 per cent of entities accounted for 80 per cent of the total volume of debt upgraded - that accounted for a relatively large proportion of debt at a systemic level." The sectors that saw an improvement in the credit quality of participants were Ferrous Metals, Microfinance Institutions and Fertilizers. Select sectors where the credit quality worsened were Textiles, Roads, Real Estate, Automobile Dealerships, Education and Financial Services. Among sectors, the largest contributors to the volume of the debt downgraded in H1 FY2019 were Financial Services, Power, Public Sector Banks and Aviation. As for Crisil, the uptick was seen in sectors such as steel, construction and industrial machinery that, besides buoyant commodity prices, benefited from the government's infrastructure spending even as private investments lagged. The demand growth drivers remained strong for domestic consumption-linked sectors, but rising interest rates could act as a mild dampener, noted Crisil. Export-linked sectors also saw a strong growth in recent months backed by buoyancy in the global economy and a sliding rupee. 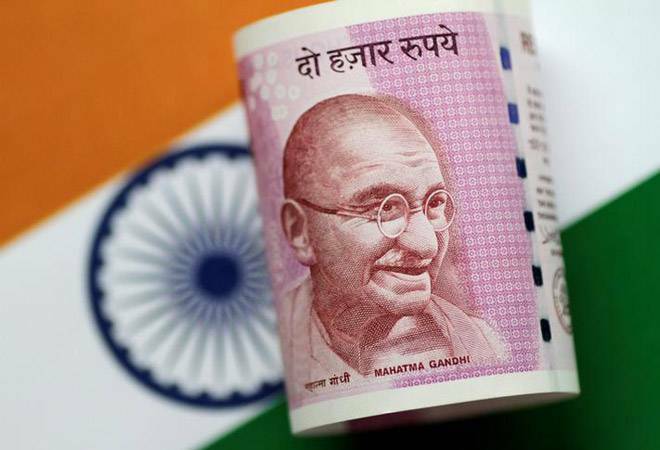 However, Crisil warned that a volatile rupee, rising interest rates and a potential risk of tariff disputes escalating into full-blown trade wars could impact India Inc, but modestly. On Wednesday, rupee crossed the crucial 73 mark versus dollar for the first time ever. Crisil's analysis of nearly 2,500 firms in its portfolio that have foreign currency exposure shows that the top 10 sectors with high foreign currency exposure, which include oil and gas, power and telecom, will see their net profit margins eroding this fiscal by up to 150 basis points. But credit profiles will be cushioned by presence of natural or contracted hedges, ability to pass on increased costs to customers in a buoyant demand environment, lean balance sheets, and support from strong parents or government. Going forward, Crisil-rated corporates are expected to sustain their credit risk profiles even in the face of headwinds, backed by strong demand, increased government spending towards infrastructure, and leaner balance sheets, said the rating agency. It further said that the Crisil-rated non-banks should be able to navigate the current situation backed by active liquidity management and strong parentage. However, any prolonged liquidity strain could impact non-banks and hence would be a key monitorable.